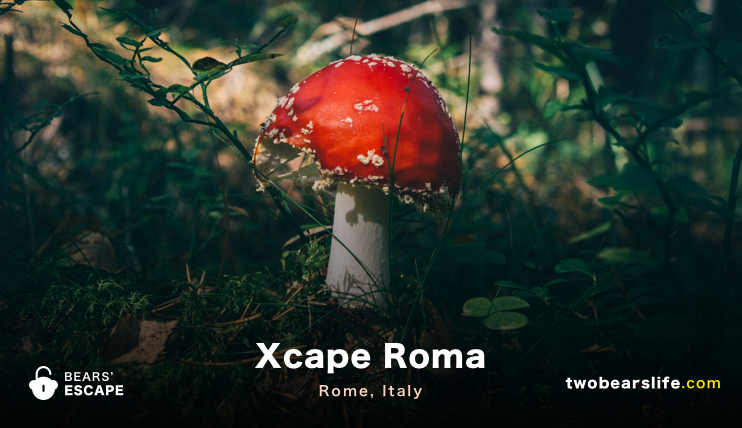 While looking for Escape Rooms in Rome, we also stumbled upon Xcape Roma. They had (at the time) 5 rooms, but their Website was just providing information in Italian. We contacted the owner if any of their rooms would be playable for a team of 2 as well as english speakers. We got a really friendly answer that told us, that none of their rooms are actually translated, but we could do their “Alice in Wonderland” room, since there would be no text hints required. After double-checking if the room is an original or bought (since we did one with the same concept in Budapest already), we were assured that all their rooms are self-designed. 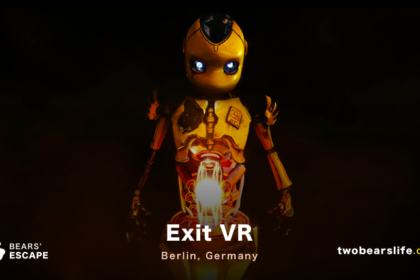 So we decided to go for it – it would be interesting to see, how they would execute their room without any text information. 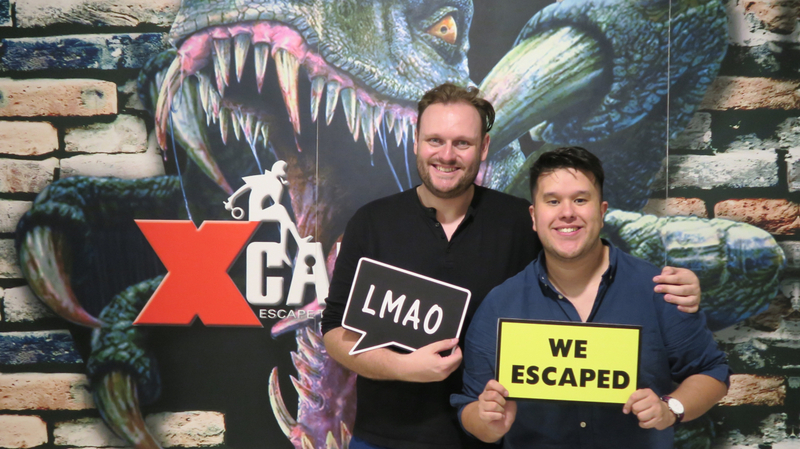 Xcape Roma was actually the last Escape Room on our agenda once we arrived in Rome, so we were already a little bit tired and had lower expectations for the rooms in Rome. We took the tram to a rather residential area of the city. Due to other scheduling conflicts during the day, we arrived an hour early, so we checked in if we should wait in a nearby restaurant or if we could start early. To our pleasent surprise, we were allowed to start right away. The website doesn’t offer any explantion of the room – not even in Italian. Let’s sum it up with: you are trapped in Wonderland – solve the puzzles around you to return to your home destination. The start of this game was one of the most puzzling Escape Room starting experiences we have had until now: after storing our backpacks in lockers, our host led us to a door, opened it, led us in, told us the time has started, gave us a walkie-talkie for questions and closed the door behind us. No other words were exchanged. This could be due to the fact that they did not seem very comfortable with english in general. The room itself was also very interesting – it was true that no further text clue was needed, most of the tasks or puzzles in the room were pretty self-explanatory. The room decoration consisted mostly of wallpaper-prints and printouts from the latest Alice in Wonderland movies. The room itself consisted mostly of tasks and not too many real puzzles. The linear nature of the setup was perfect for our small group – size, we do imagine that bigger groups than 5 run into problems with some people just standing around. 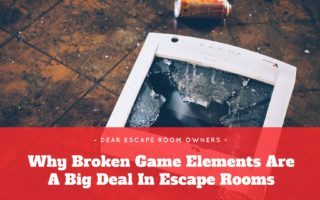 We struggled only with one puzzle in this room and because we couldn’t really communicate our problem with the game-master, he had to come in and explain the task properly to us. Once he did that, we could’t believe that we did not see the solution ourself. 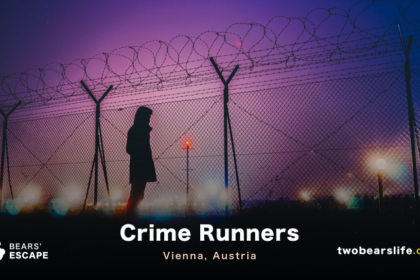 The rest of the programm went well and we escaped in time. Judging this room and Xcape Roma in general is hard. The “Alice in Wonderland” room is heavily relying on tasks and does not offer many brain-twisting puzzles. If you are okay with that, you can have a lot of fun. We certainly did. 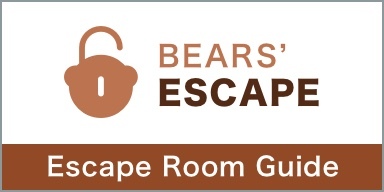 Is it a good escape room? Maybe. We are not sure. The decoration – copyright issues aside – felt rather heartless, the puzzles and tasks were more tech-based games. We had a talk with the owner afterwards, were he showed us the Anubis room. 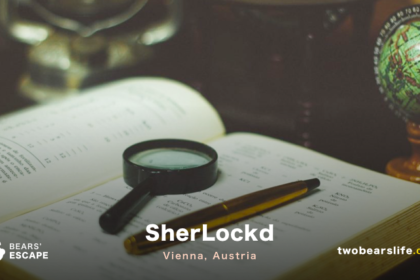 That room is certainly more in the line of classic escape rooms, with lots of puzzles, and they hardly use any locks. Still – decoration wise – they work a lot with printout wallpaper there as well. All in all, the location is rather problematic for tourists, since they do not offer any games in english. 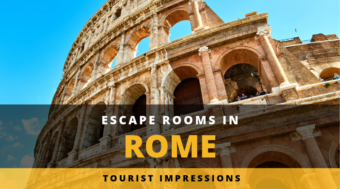 We asked the owner why – and he told us that tourists in Rome do not come for Escape Rooms – a sentiment that is certainly not true for enthusiasts like us. But sure, if you do not offer anything in english, tourists will not come. Alice is a fun room to do, though it is more of an entertainment room than a big puzzle/brain challenge. Xcape Roma offers some interesting rooms – sadly, most of them are not playable in english. We had the chance to check out their “Alice in Wonderland” room, since you don’t need any language in the game. In general, the game was fun and enjoyed our time – but the Alice game is mostly task and action based. 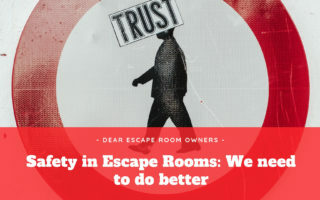 You will either love or hate it – depending on your preferences for certain Escape Room specifics. The location is a little bit outside of Rome and they do not really deal with tourists too much. Still – they were really nice and even showed us other rooms which offered more puzzle-based approaches. Sadly, those were not translated.